Pope Francis has arrived in South Korea and is calling for peace and dialogue between the two Koreas instead of ‘displays of force.’ His five-day visit is the first time a Pope has visited the Korean Peninsula in 25 years. It coincides with the appeals of two detained American Christians, Kenneth Bae and Jeffrey Fowle, both arrested in the North for their religious affiliations. His trial date still has yet to be confirmed. Also on August 12, CNN reported that Korean-American Kenneth Bae‘s health has significantly deteriorated due to strenuous work at his labour camp, and that he has been moved to hospital. This is the third time in less than two years. Bae, a missionary and businessman, was sentenced in April to 15 years in a North Korean labour camp for “hostile acts to bring down its government.” He was detained in November 2012 while leading a tour group. North Korea’s Central News Agency reported that Bae was carrying a number of propaganda materials at the time of his arrest, and his charges include plotting “Operation Jericho;” the name refers to a Biblical story about the city being conquered when its walls suddenly collapsed. In June, South Korean missionary Kim Jong-wook was sentenced to hard labour and life in prison after being found guilty of espionage and setting up an underground church. 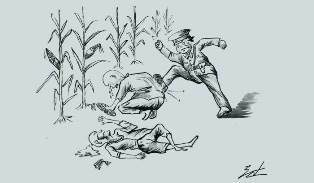 According the United Nations, between 80,000 and 120,000 prisoners are detained in political prison camps. This represents approximately 1 in every 200 citizens of the DPRK. Jang Jin-Sung, a former North Korean governmental worker, in his book Dear Leader says churches are often referred to as ‘showcase churches’ because all the attendees are workers of the Party’s Organizational Guidance Department, OGD, and none truly believe in Christianity. The OGD has enormous power in North Korea and more or less runs the country. Activists say Pope Francis’ trip to South Korea provides a valuable opportunity to draw attention to the North’s chronic human rights abuses. “He is in a unique position to speak for the voiceless people of the world’s most closed nation and to pray for peace, freedom and justice — and to draw the world’s attention to this tragic and often overlooked human tragedy,” British Lord David Alton, told the Register. Alton believes the visit has the potential to be as effective as Pope John Paul II’s nine-day historic visit to Poland in 1979 that helped sow the seeds for the collapse of Soviet Communism. Benedict Rogers of Christian Solidarity Worldwide, which campaigns for religious freedom, said, “To be a Christian in North Korea is extremely dangerous, and many Christians who are discovered end up in the prison camps or, in some cases, executed. There are a small number of government-controlled churches, which are used by the regime to show its international visitors that it grants freedom of religion. However many Christian organisations have said that North Korean churches are dubious because even the government-controlled churches are not able to function authentically. On August 18, the Pope plans to hold a mass focusing on reconciliation and peace in Seoul. The Archdiocese said it invited about 10 North Korean Catholics to attend the final mass but the government -sponsored Church has rejected the offer. 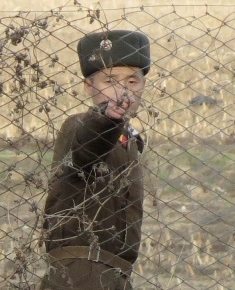 Open Doors International’s 2014 World Watch List ranks North Korea first on its list of the top 50 countries where Christians are most under pressure for their faith. North Korea has held this position for 12 consecutive years. Open Doors is a global charity that works with persecuted Christians around the world. Communist oppression by the rule of Kim Jong Un and his Workers` Party is a primary force behind persecution in North Korea. The family’s rule is absolute and no one is allowed to challenge or question it. The family has ruled North Korea for more than half a century. Thousands of other believers, who come from a family with a long Christian heritage, risk their lives too. Even meeting together can be extremely dangerous. “My father was allowed to receive visitors in our house”, North Korean refugee Hee Young, who wished to use a pseudonym, told Open Doors. After ten years, Hee Young managed to escape to China and finally arrived in South Korea.